Nothing beats a refreshing gin and tonic in the Summer time and with the huge amount of gin bars now in Newcastle it seems like everyone agrees with me! But how do you go about creating that perfect gin and tonic? 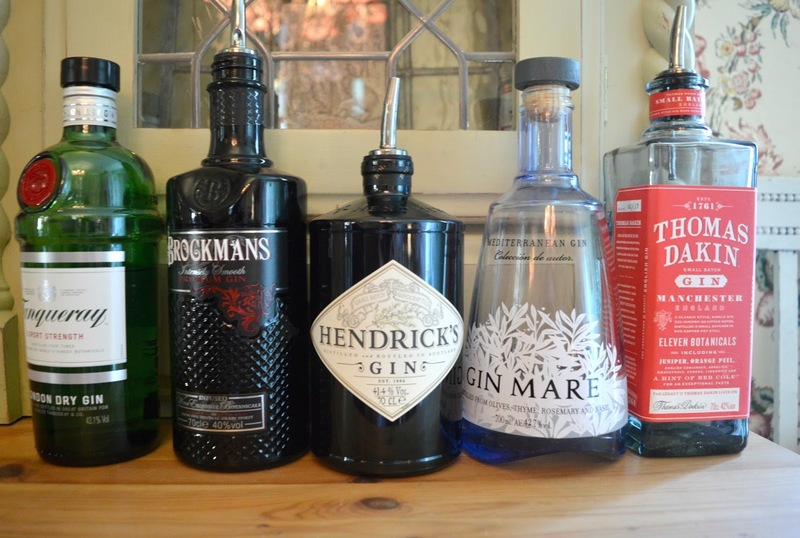 With so many different gins and botanicals to choose from a lot goes into making that perfect tipple. Well don't you worry, the Botanist have all of the answers (and more!) with their brand new Gin Masterclass. The fun filled 90 minutes is perfect for 6 - 12 people and costs £25.00 per person. I popped along to the Botanist in Newcastle with some friends to give the class a go. The Gin Masterclass at the Botanist Newcastle is held in the beautiful Granny Smith's Room, the most adorable private room complete with kitsch wallpaper, country inspired furniture and a decadent chandelier. It's a cosy space away from the hustle and bustle of the main bar and ideal for the Gin Masterclass. Our class began with a history lesson, but not the type of history lesson that had you snoozing on the desk in school, the origins of gin involves gruesome tales of times gone by. The somewhat colourful history of gin is perfectly illustrated in William Hogarth's 1751 illustration "Gin Lane" - we were each passed a copy of the picture which brought alive the evils of gin drinking at a time when people drank gin instead of water. You can only imagine the health and social problems they had! 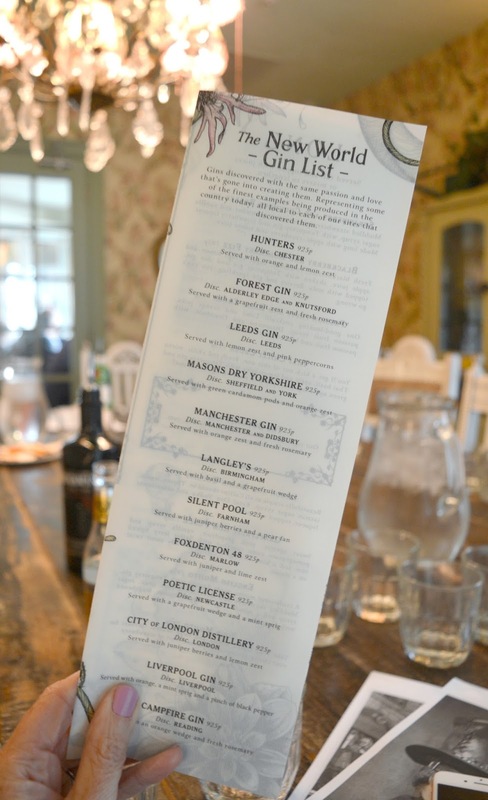 I never realised the importance of gin in our history, and during the Botanist's Gin Masterclass we learnt so many facts that we'll be impressing our friends with for weeks to come! Did you know that the term "Dutch courage" comes from Dutch soldiers getting drunk on gin to bolster their courage during the war? Or that the 'beak masks" doctors wore during the Plague were filled with juniper berries to protect them from disease? Luckily today we drink gin for more pleasant reasons and it's become the tipple of choice for so many. Made primarily from juniper berries, the distillation process is unique with each distiller using different botanicals to create flavours, making each bottle of gin completely different tasting to another. So if you're someone who thought they didn't like gin the chances are you probably just haven't found the bottle for you yet! Cucumber, rose, citrus, lavender, lemongrass and black pepper are just a few of the botanicals used in gins so there really is a flavour for everyone. 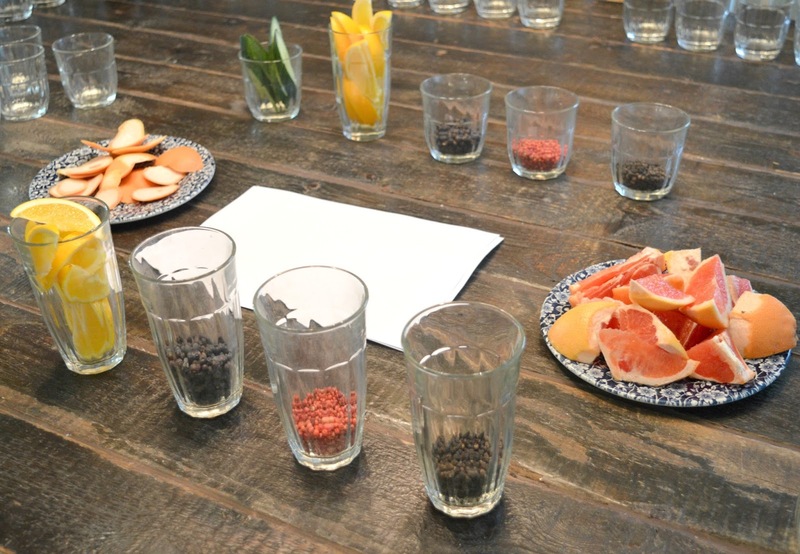 We each had five glasses in front of us containing gin, a small bottle of tonic ready for mixing and a table covered in all sorts of botanicals for creating our own drinks. Beginning with one of the most awarded and well recognised gins in the world, Tanqueray, we all had a good sniff of our glasses to see if we could pick out any particular botanicals. I never realised before that you could pick out the different botanicals just by smelling your gin! We each took a small sip of neat gin which had an overpowering taste of juniper and left a slight burning in the back of my throat - no thank you! 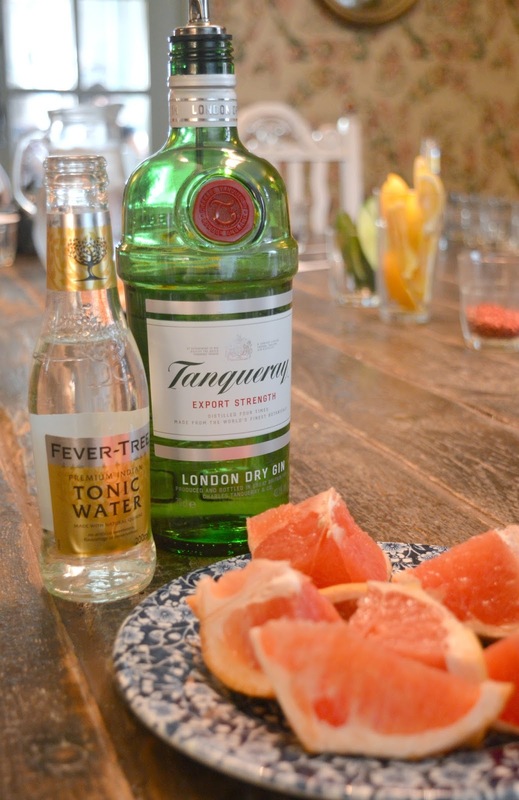 But add a splash of tonic and a squeeze of grapefruit to your drink and suddenly Tanqueray takes on a whole new flavour! Adding grapefruit gave the drink slight hints of liquorice. I couldn't believe it was the same gin. Next up was Brockmans, and I knew from the first sniff that this was going to be a gin to love. It had a delicious fruity smell and reminded me of my favourite Jo Malone scent, Blackberry and Bay. 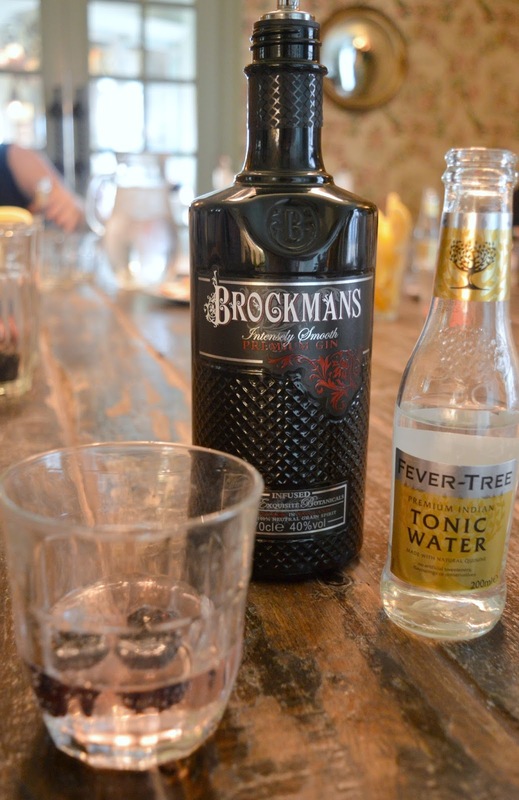 Created in 100 year old traditional copper stills, Brockmans is a gin so easy to drink I could happily drink it neat with some ice! To bring out the delicious fruity flavour I decided to add a splash of tonic and a small handful of blackberries, it was beautiful and really made me think of warm days in early Autumn. Our next gin doesn't really need much introduction. 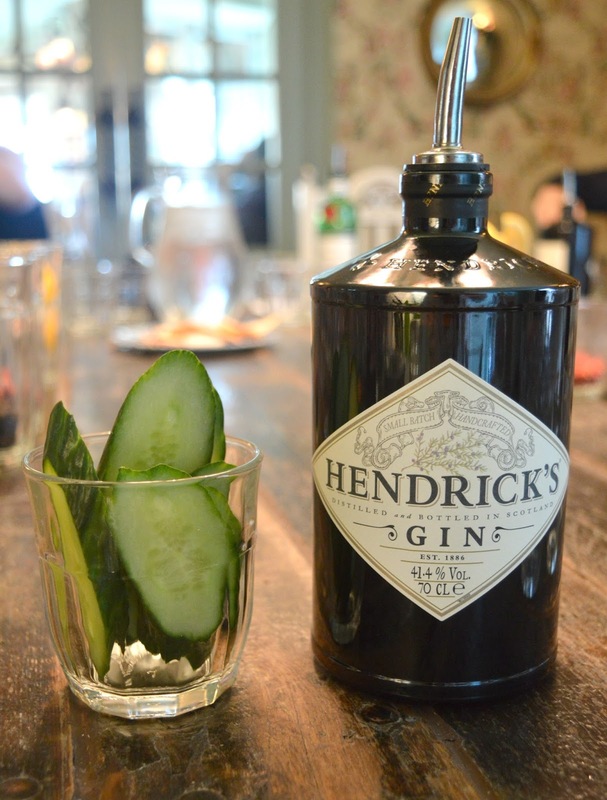 Hendricks is one of the most popular gins around! Infused with cucumber and rose it's a very refreshing gin and definitely a drink that screams British summer time. 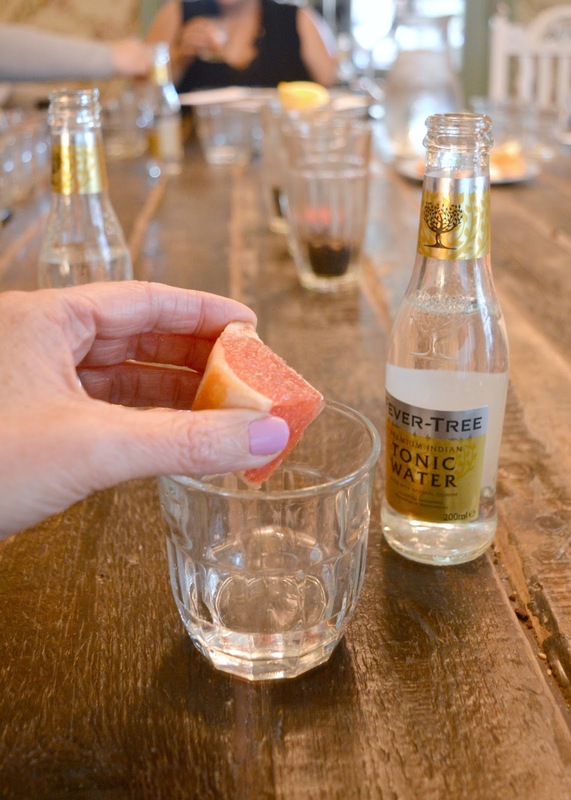 Whilst many like to add cucumber to their Hendricks gin, we discovered that adding some citrus like grapefruit or orange peel makes the perfect Hendricks G&T. Proof that it's really worth experimenting when it comes to mixing your own gin drinks. The most beautiful bottle of the night was definitely the Gin Mare. When we gave this one the smell test I was immediately hit with the smell of herbs! 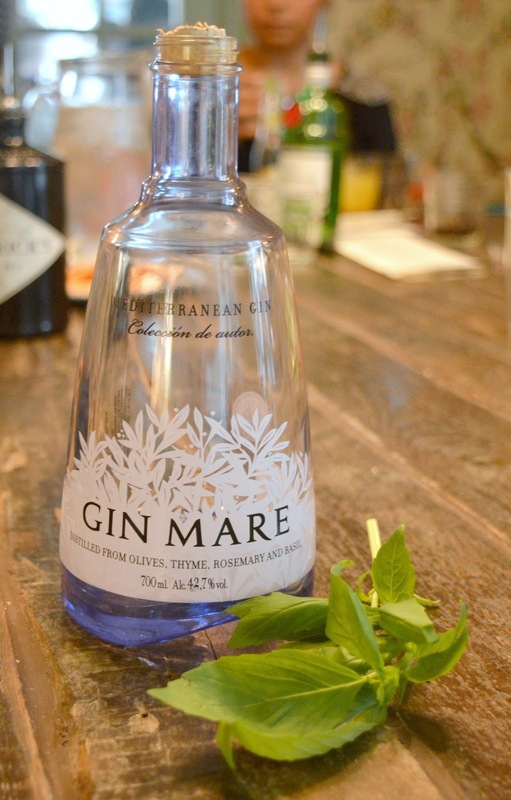 A slightly unusual tasting gin, Gin Mare is a Spanish gin distilled from olives, thyme, rosemary and basil. Gin Mare really does show that there's a gin out there for everyone, this gin was completely different to some of the sweeter tasting gins we'd been trying and would be perfect for those that don't like sweet drinks. 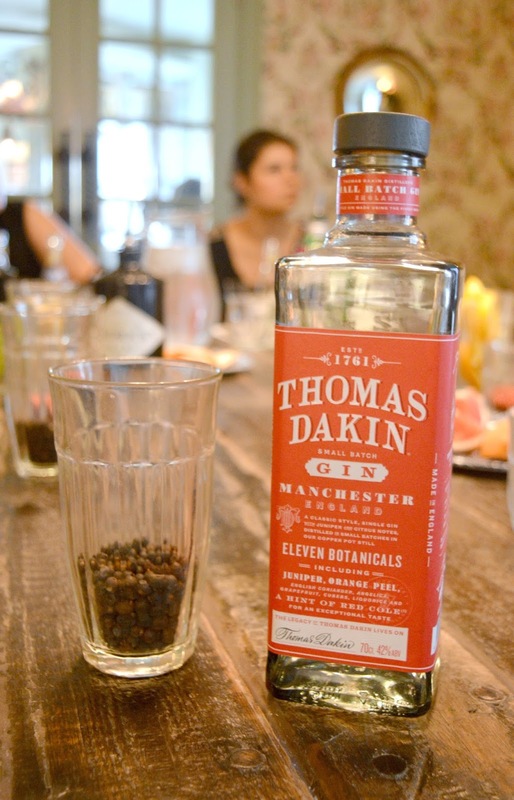 Our last gin of the night was Thomas Dakin, the only gin to be distilled in Manchester, Thomas Dakin have a rich family history of creating gin. I decided to try some peppercorns with this one, not something I'd usually consider putting in a drink but the spicy hint was so delicious with the citrus botanicals used in Thomas Dakin. Not really knowing too much about gin before I suddenly realised the true appeal of drinking gin. There's no right or wrong way to create a gin and tonic - with so many different gins and botanicals to choose from, mixing gin drinks is all about trial and error and learning what combinations of flavours you love. The Gin Masterclass was really good fun and I'd highly recommend it to anyone who loves gin or is keen to learn more. To join in the fun you can book your Gin Masterclass at the Botanist here! For more fun at the Botanist why not enjoy some Tipples and Tunes, an evening on their Roof Terrace or indulge in a floral teapot or smoking plant pot cocktail! I was very kindly invited to be one of the first to try out the new Gin Masterclass at the Botanist. All thoughts are my own. Looks like a fun way of spending time. I'd certainly be interested in learning more about flavours that complement gins. I WASN'T a gin drinker until a recent evening I attended with Masons of Yorkshire present and a very lovely gentleman who was happy to fill prove me wrong that as you said, I just hadn't found the right gin or mixture. He believed it was in the tonic. I think he was right.lol I agreed that the lavender gin with an indian tonic was quite nice to say the least!